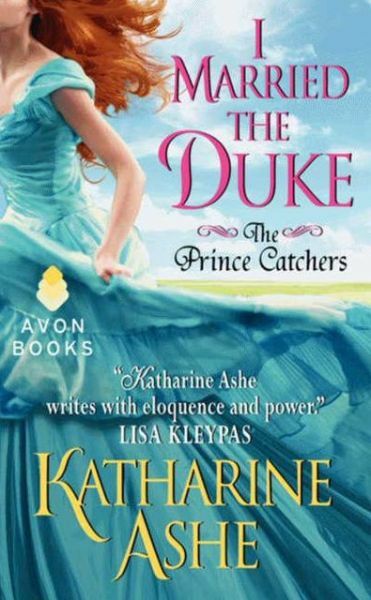 Friday’s Fantastic Find is the historical romance I MARRIED THE DUKE by KATHARINE ASHE. In 2012 Amazon chose Katharine’s How To Be a Proper Lady as one of the Ten Best Romances of the Year. Upon the publication of her debut in 2010, the American Library Association named Katharine among its “New Stars of Historical Romance”. She is a two-time nominee and 2011 winner of the Reviewers’ Choice Awards for Best Historical Romantic Adventure, and her novella A Lady’s Wish launched HarperCollins Publishers’ Avon Impulse imprint in 2011. Her books have been recommended by Woman’s World Magazine, Booklist, Library Journal, Barnes & Noble, the San Francisco & Sacramento Book Review, Durham County Libraries, and the Library of Virginia. Katharine lives in the wonderfully warm Southeast with her husband, son, dog, and a garden she likes to call romantic rather than unkempt. A professor of European history, she has made her home in California, Italy, France, and the northern US. She adores hearing from readers.